Nintendo Press Release – Nintendo Direct 9.1.2016 – 3WIREL! To close off our round up of Nintendo news today, a press release came out explaining official statements of each announcement during the Direct today. Below will be a PR release from Nintendo themselves. 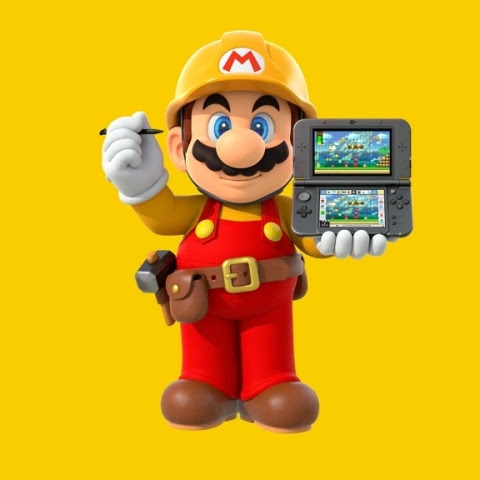 Nintendo unlocked a treasure trove of information for its portable Nintendo 3DS system today. In a Nintendo Direct video, Nintendo discussed more than a dozen games for the system, including a StreetPass Mii Plazaupdate and some Nintendo eShop exclusives that launch today. Among the highlights were a portable Super Mario Maker game launching this year, Pikmin and Yoshi’s Woolly World games launching in 2017, and a newly announced Mario Sports Superstarsgame for 2017. Nintendo also revealed awesome new amiibo figures for Yoshi’s Woolly World on Nintendo 3DS and The Legend of Zelda, as well as a new set of amiibo cards for Animal Crossing fans. Now Nintendo 3DS owners will have access to a near-unlimited wealth of Super Mario courses to play! Players can also create courses with nearly all the tools available in the original Wii U version, along with interactive lessons. Pikmin for Nintendo 3DS (name not final):A new side-scrolling Pikmin adventure game unlike Pikmin games of the past is coming to Nintendo 3DS. Pikmin follow Olimar around, and players tap the touch screen where they want to throw them. This is designed as an action game that makes players think fast and use every Pikmin to overcome anything that stands in their way. The game is scheduled to launch in 2017. YO-KAI WATCH 2: Bony Spirits and YO-KAI WATCH 2: Fleshy Souls: Travel to the past to witness the origin of the Yo-kai Watch and put an end to an age-old war between two Yo-kai factions! Discover the Yo-kai Watch Model Zero, which gives players two new tactics that make for more strategic battles. Each version also has many unique Yo-kai. Hailing from ancient Japan, the leader of the Bony Spirits faction is Arachnus, who harbors a spidery secret. As for Fleshy Souls, the leader is Toadal Dude, the essence of a toad who lived for several centuries thanks to his fresh sense of style. The initial production run of the retail versions of the game will come with a physical medal that unlocks a new Soultimate Move for Jibanyan. The digital versions come with the ability to battle and befriend Robonyan F or Sailornyan. The free demo version arrives in Nintendo eShop in mid-September and the full games launch onSept. 30.